Ducati will introduce a new Monster model to slot in between the entry-level 696 and higher-spec 1100 and 1100S, according to an anonymous source. The new model, called the Monster 796, will use the powerplant from the Hypermotard 796 and the chassis from the Monster 1100. Although it’s unclear if the bike will be a 2010 or 2011 model, it will be priced under $10,000 and will be officially announced in April, with production rumored to begin in June. Ducati will not officially confirm or deny any upcoming new models. The problem, according to the source, was disappointing sales of the 1100 Monster models. This makes sense, since as good as that bike is, it’s just a few grand away from the price of the outstanding experience (insanity?) of riding the Streetfighter, with that model’s 150-horsepower superbike motor and racetrack chassis. Apparently, an 1100 “Dark” model priced around $10,000 was considered, but Ducati didn’t want to “cheapen the brand” by substantially undercutting the price of the existing 1100. Although the 796 will have some budget aspects, it’s still not an entry-level bike. The seat height will be the same 31.9 inches as the 1100 (the 696 is 30.3 inches), and it also gets the five-spoke Marchesini wheels and curvy single-sided swingarm from its big brother. The fork will likely be non-adjustable. Although the 796 motor in the Hypermotard makes just one more horse than the 696, that power comes on much sooner than the 696: the torque peak of 55.7 foot-pounds is at 6250 rpm (just a gear down from highway-cruising rev range), where 50.6 foot-pounds from the 696 appears at 7750 rpm. 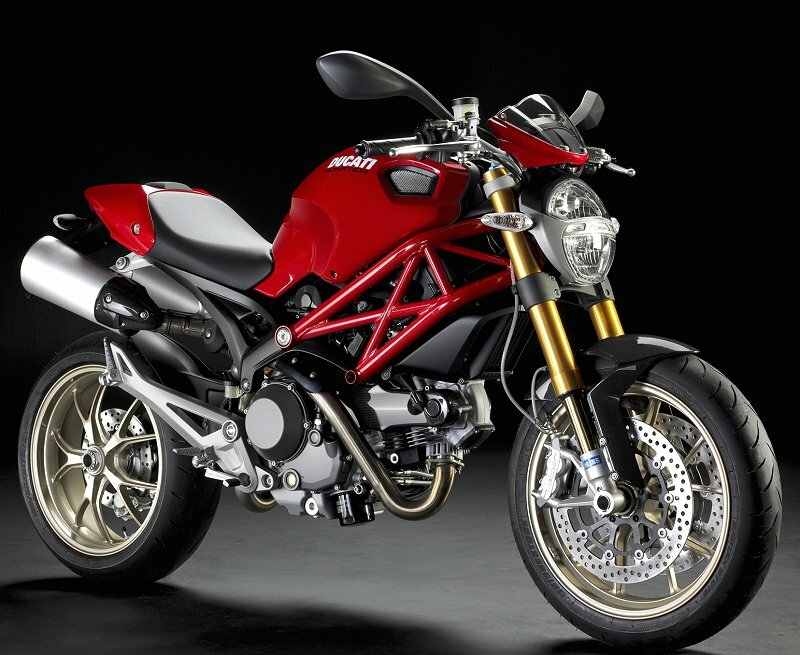 So the new Monster will take up a niche not seen since the Monster S2R 800 was dropped in 2008: lower pricing and less power than the 1100cc two-valve model, but not as basic or budget-oriented as the entry-level bike. Although it’s still too early to predict exactly what Ducati will show at Milan in November, we can make some guesses. Expect the Monster 1100 model to adopt the lighter, faster-revving motor from the new Hypermotard EVO and EVO SP for 2011, and possibly that bike’s switchgear and MotoGP-inspired instruments as well. Will there be an upgraded Desmosedici with the carbon-fiber chassis from Ducati’s current MotoGP racebikes? How about a Hypermotard R with the 150-hp motor from the new Multistrada 1200? And where’s that Ducati power-cruiser everybody was speculating about last year? Ducati has had a modular approach to building bikes for decades, which lets it build countless variations on a few different, basic engine and chassis designs without spending much to develop each variation. This is a great way for a small-volume manufacturer to stay in business in tough times.